Congratulations to the band on an excellent piece of ringing. First submitted Sunday, 14 October 2018 at 18:54:28 by Mark Robins. 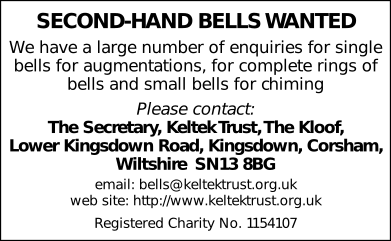 Sent for publication in The Ringing World on Sunday, 14 October 2018 at 18:54:37, and printed in one of issues 5610 or 5611.